This reading group guide for Pretend I’m Dead includes an introduction, discussion questions, and ideas for enhancing your book club. The suggested questions are intended to help your reading group find new and interesting angles and topics for your discussion. We hope that these ideas will enrich your conversation and increase your enjoyment of the book. Mona—almost twenty-four, emotionally adrift, and cleaning houses to get by—meets Mr. Disgusting, a drug addict who proceeds to break her heart in unimaginable ways. In search of healing, Mona decamps for Taos, New Mexico, where she finds a community of seekers and castoffs, all of whom have one or two things to teach her—the pajama-wearing, blissed-out New Agers; the slightly creepy client with peculiar tastes in controlled substances; the psychic who might really be psychic. But always lurking just beneath the surface are her memories of growing up in a chaotic, destructive family from which she’s trying to disentangle herself, and the larger legacy of the past she left behind. 1. Beagin is a former cleaning lady, and draws on some of her own experiences cleaning houses to color the material. Does knowing that affect the way you view Mona? 2. “Names are powerful,” Betty tells Mona on page 218. Is it significant that Mona constantly names and renames people and things in her life? What does it mean for Mona to finally share Mr. Disgusting’s real name? Or for her to finally correct Betty, who had been calling her Maura? 3. Why do you think Mona chose to follow Mr. Disgusting’s suggestion and move to Taos, New Mexico? 4. “Pretend I’m Dead” is the name of a game Mona and her father played in the pool when she was young. She also resumes photographing herself playing dead in Henry’s home, something she starts doing again in order to “move on” from her past. Discuss how this action, playing dead, underpins the novel as a whole, and what its significance is thematically. 5. Before leaving Lowell for Taos, Mona smashed her favorite vintage vacuum cleaner, and in the final scene, she and Jesus destroy one of the dolls with a hammer. Discuss what each of these acts signifies. What do you think is the next step in Mona’s journey? 6. The book is divided into four sections. The final three are named after characters who leave an impression on Mona—Nigel and Shiori (or “Yoko and Yoko”); her neighbors, her client Henry and his daughter Zoe; and her client Betty, the maybe-psychic. Why do you think the first section is titled “Hole”? What does it indicate about her relationship with Mr. Disgusting? 7. Mona is able to turn her “dirt radar” (p. 16) on and off as needed. Do you think she does something similar with people? With herself? 8. What do you make of Mona’s interpretation of Henry and Zoe’s relationship? Do you think she is projecting her past trauma, or witnessing the accessories to sexual abuse? 9. 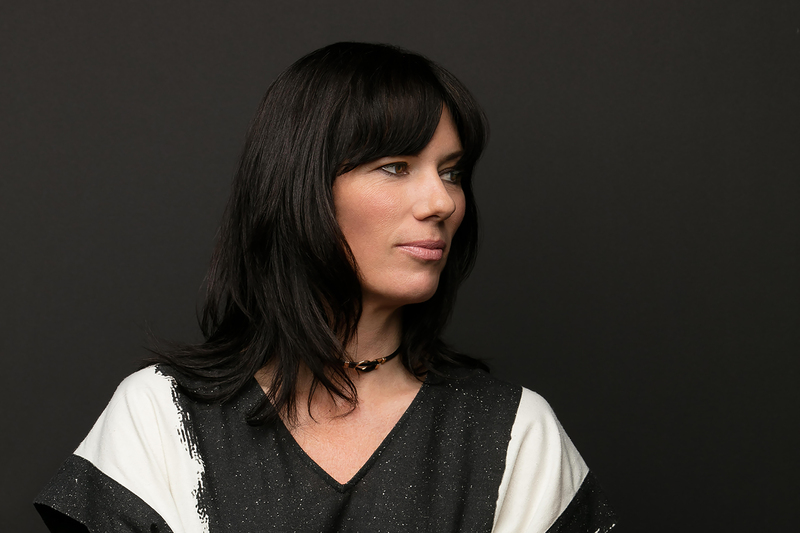 Pretend I’m Dead could be described as a voyeuristic novel, both because of how closely Mona observes the people she interacts with and also because of how intimately we as readers get to know her, and thus the author herself. Discuss voyeurism in fiction, and what it was like to encounter it in this book. 10. After rereading her childhood diaries, Mona speculates (p. 140) that “perhaps she didn’t have daddy issues . . . but rather Tommy issues.” What do you make of this? Do you think Mona is able to reconcile the trauma of her childhood? 11. Pretend I’m Dead is a relatively short novel, yet it deals with difficult topics, such as sexual abuse and addiction. Did the length of the novel make it easier or harder to read about these subjects? 1. Read Lucia Berlin’s A Manual for Cleaning Women, a book of autobiographical short stories set in the 1960s, ’70s, and ’80s about Berlin’s experience as a cleaning lady. Compare her real-life experiences to Mona’s fictional ones. 2. Seek out some of the think pieces published in the wake of the #MeToo movement and discuss how Mona’s experiences may fit with some of the questions raised in recent times about sexual abuse and assault. 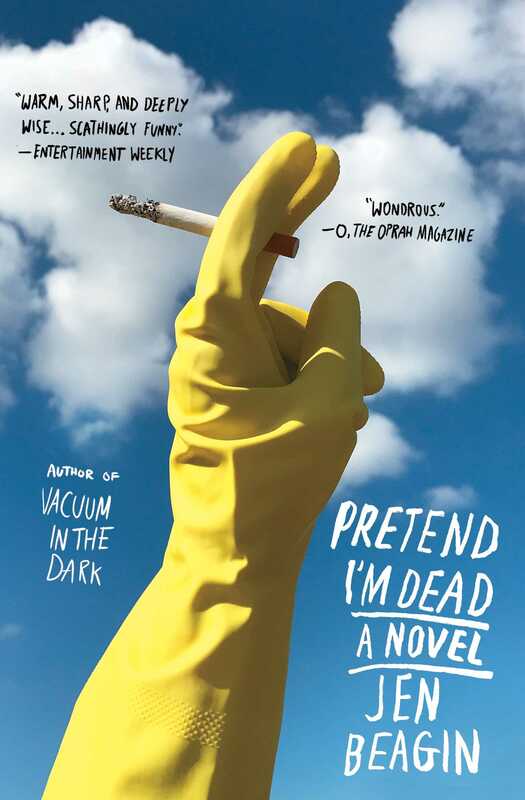 "One of the most anticipated literary debuts of the year... Pretend I’m Dead traces a cleaning woman’s journey to self-acceptance in alternately warm, sharp, and deeply wise fashion... Scathingly funny." "Sharp but empathetic... Clear-eyed and funny... What gives this novel its heart is Beagin's capacity for seeing... Beagin makes [her theme] fresh with her sly, funny, compassionate voice. This is a terrific debut. Singularly enjoyable." "Beagin's debut is grungy and ribald, melancholic and funny. Throw in a little wisdom, schmaltz and a few useful housekeeping tips, and Pretend I'm Dead delivers a real bang for the buck." "If nuanced, funny, dark, utterly unpretentious literature is your drug of choice, Jen Beagin's Pretend I'm Dead constitutes an epic score. Please enjoy responsibly." "In Jen Beagin's Pretend I'm Dead, the brilliant and damaged young proprietress of Bee's Knees Housekeeping is continually in danger of too much information. She cleans people's homes, all those telling, secret, even intimate spaces, and reflected back are the secrets of her own past, the million sadnesses. Despite Mona's wicked sense of humor, too much contends for her fine heart in this daily work. Funny, supremely candid, this debut hurt me perfectly on every page." "Pretend I'm Dead is utterly engaging, laugh-out-loud funny, and always compelling. Mona is an irresistible character, and I loved being in her head and hearing her thoughts. In short, I was rooting for her straight through. Each sentence is alive, vibrant and quaking. Beagin's writing is fearless and bold, yet the book is entirely accessible and even relatable."